Santa's Angels visited more families this year. A team of elves and Santa had to go back out of Boxing Day to make sure everyone was visited. Natalie Latouf says there isn't a better way to spend Christmas Day than having Santa and some elves visit families in need with gifts, food and hugs. "I think it reminds us all what the season's all about," said Latouf, part of the core organizing committee with Santa's Angels. "It's not about what we give, it's the fact that we're able to share some time and some joy with the families who maybe need it. It's such a wonderful feeling." Including 15 organizers, Latour said 112 volunteers signed up to be a part of Santa's Angels this year. Those groups of Santas and elves managed to visit about 1,000 people — slightly more than last year. 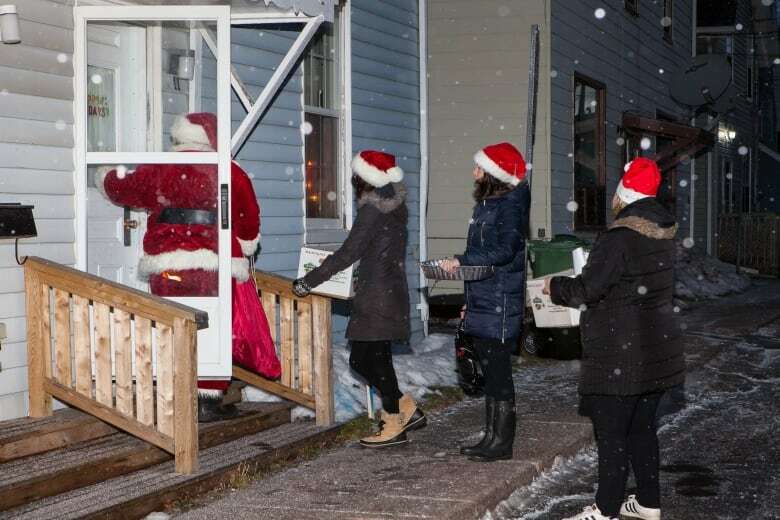 "Our goal is to get to as many homes as possible and make as many visits as possible Christmas morning — just to be able to reach as many children and spread as much joy," Latouf said. The group spends the months before Christmas fundraising, looking for sponsors and collecting donated toys, gifts and food. Families that want to arrange a visit Christmas morning can go to the group's website and "write to Santa" explaining their situation and why they want a visit. Latouf said it doesn't matter why they need help, they will be visited "provided we can reach them Christmas morning." 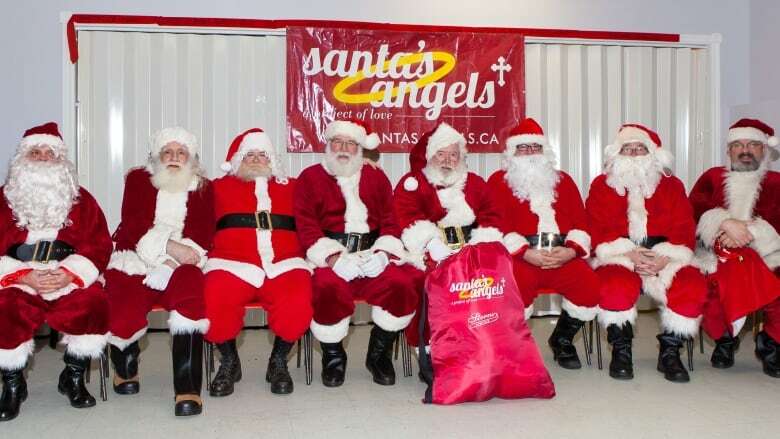 This year, Santa's Angels wasn't able to reach everyone, so they went back out on Boxing Day. Latouf said groups bring extra supplies and will ask a home if there is anyone else in the area that might appreciate a visit. These surprise visits are Latouf's favourite part of the experience. "Just an unplanned knock on the door and 'Hey, we're from Santa's Angels. Here's a big box of food and a turkey and a hug and some teddy bears,'" she said. "It's great all around. It's the project of love." Latouf said core members of the organizing committee are already planning to meet early in the New Year to discuss how Christmas Day went as well as ways to improve and reach more homes next year. "The ball is already rolling," she said.